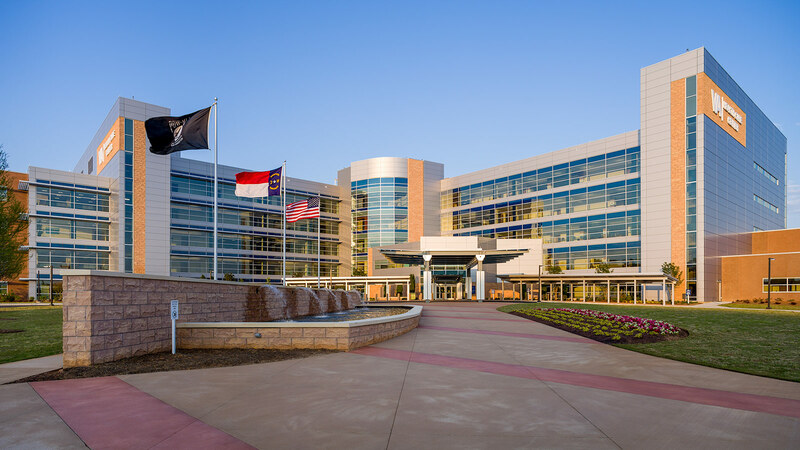 The overarching goal of the Veteran’s Affairs Medical Center is to provide easier access to care for veterans in the Charlotte-Mecklenburg area and surrounding region, which has consistently seen the highest rate of growth in the number of veteran residents over the last decade. An estimated 35,000 veterans currently are enrolled in the health care system. 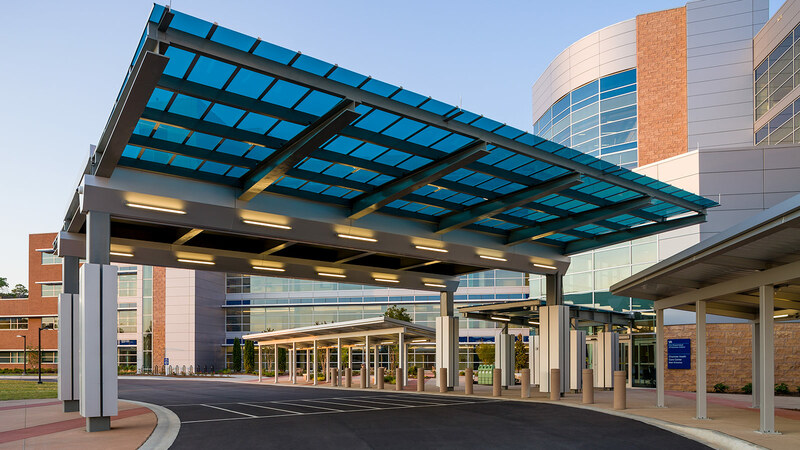 The new complex’s location provides this significant patient population with easy access from major thoroughfares and was an important consideration in the site selection process. 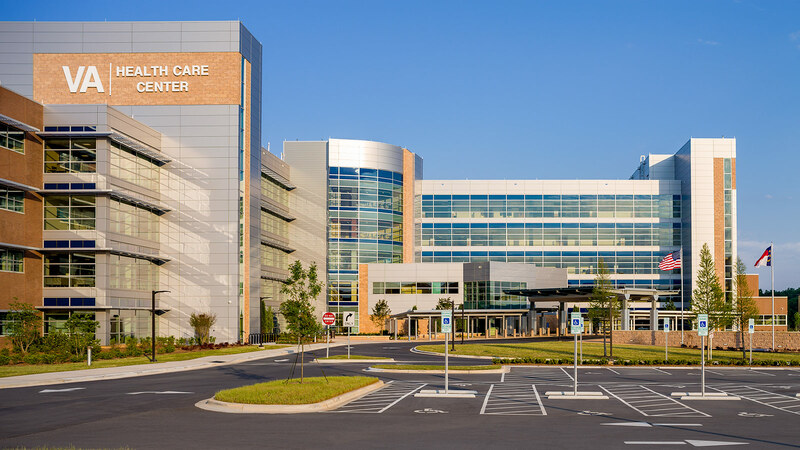 The Charlotte Health Care Center is an extension of the W.G. (Bill) Hefner VA Medical Center. 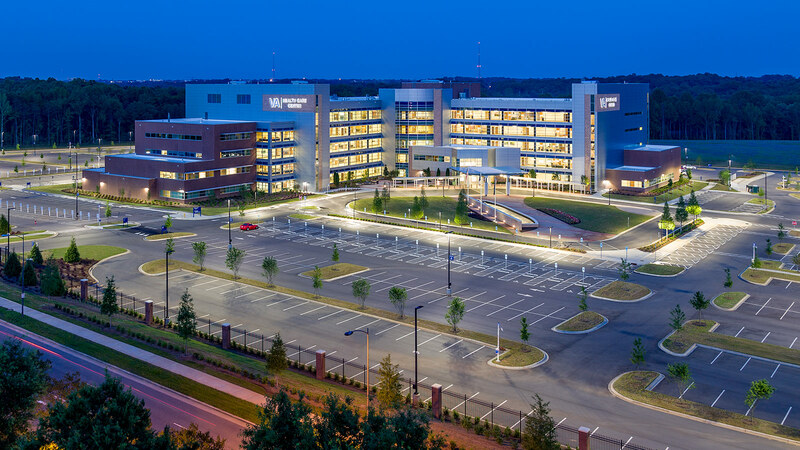 The five-story facility sits on a 35-acre site and offers more than 20 different medical specialties to patients, including primary care, cardiology, behavioral health, rehabilitative therapy, and oncology. The project team, including partners at RPA Design, worked to transform the care environment from traditional, institutional spaces to a patient-centric neighborhood concept. The new care center encompasses 425,000 gsf. Included in its 295,000 sf of usable space are a wellness garden, external courtyards, natural lighting, and fountains—all working together to enhance the healing environment. 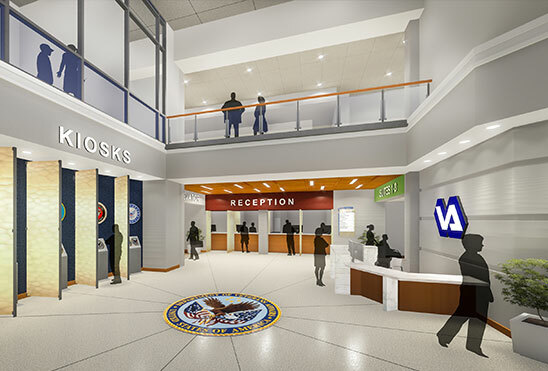 The primary clinic’s design takes its basis from the medical home model, which the VA calls its Patient Aligned Care Team (PACT). The entire facility is built around the idea of keeping patients and their family members at the center. Clinics and diagnostic areas are grouped to offer the greatest functionality for patients and their caregivers. At the “back-of-house,” corridors allow healthcare professionals to access more efficient traffic patterns among exam rooms and procedure spaces. 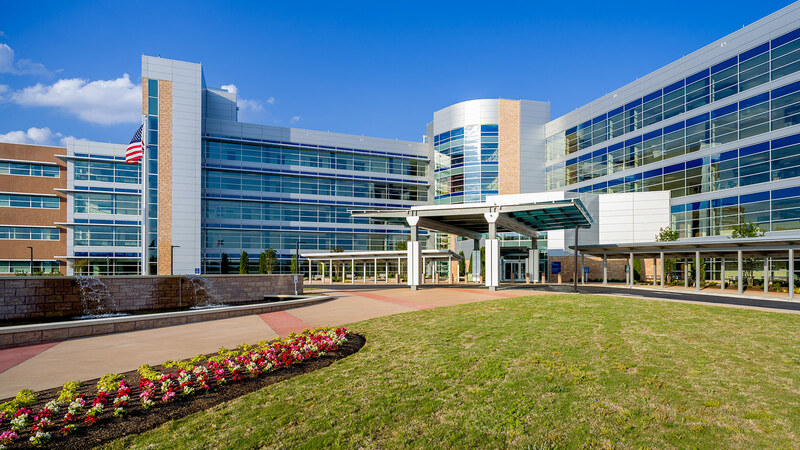 The Charlotte Health Care Center includes four operating rooms, space for 16 dialysis units, and expanded gastroenterology services. The new facility also offers more than 1,900 parking spaces to ensure the care center can serve as many veterans as possible. Designers also embedded energy efficiency and environmental stability into the facility, which is slated to achieve LEED Silver certification from the U.S. Green Building Council.